McGarva Therapy Woodland Hills CA - What is Gestalt therapy? I’ve been interested in gestalt therapy for almost forty years and, because I live in Southern California now, I’ve been able to train with world-renowned gestalt experts since 2015. I do this because it fits me. I’d like to tell you about it. I don’t think I can. 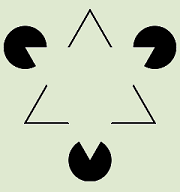 Gestalt is like Zen: if you understand it, you probably don’t get it. Experts don’t agree about it. To make this harder, it’s a moving target, constantly evolving: most information you find online, or even in psych textbooks, is half a century out of date. So how can people like me, around the planet, be doing this thing? The same way we do most things. One foot in front of the other. Gestalt therapy is a natural unscripted conversation between two unique individuals. We meet as equals. But I do have a clear purpose: my goal is for you to increase your knowledge of how you fit yourself into the world, and what gets in your way, so you can see what you want to do now. As we talk, I hope you’ll notice ways you could change things; but the choice to change them or not is yours. Because we’re in a genuine conversation, I expect I’ll grow and change along the way too. That’s because I’m personally here with you, paying attention. Thank you in advance. And I won’t try to be a ‘blank screen’: any gestalt therapist will tell you the truth about what’s going on with them. This doesn’t mean we’ll spend your time on our own stories. I won’t try to fix you, like a car or a computer. I’m not the expert on your life. That’s your mission, if you choose to accept it. I won’t spend time interviewing you in detail about childhood or other experiences, unless they’re a living part of what’s going on today. In the end: I don’t want to run your life, and I don’t need you to need me. It’s your life! The will and the courage to really change it have to be yours too. What would I want to sell?
. . . being at peace, being enthusiastic and thrilled, knowing yourself . . .